This stunning giftable package features a vellum jacket over a printed cover. ERIN FRENCH turned a string of early catering gigs into a secret suppers series in her apartment. 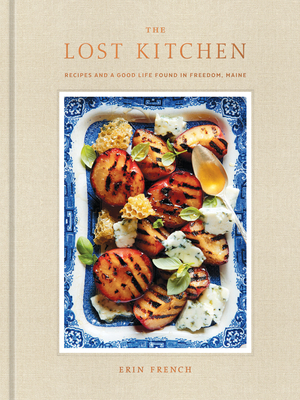 She took her dinners on the road, organizing traveling "fork-to-field" dinners from a tricked-out 1965 Airstream trailer, before returning to her tiny hometown, Freedom, Maine, to build her dream restaurant, The Lost Kitchen, in a restored 1834 gristmill. Each spring, the day the phone line opens to accept reservations, the restaurant books up for the entire year. This is her first book. "At first I thought this was simply a gorgeous restaurant book full of the food I love to eat, but now I think Erin French has done something more magical than that; hers is that luscious, dim restaurant you go to in your dreams, the one that feeds you in every sense of the word. Her food isn’t just beautiful—although it is—it also contains emotions, moods, and a lot of love for her Maine roots."